The New Year’s Eve Brisbane celebrations are focused on the end of year festivities including fireworks, parties and events, restaurant dinner dining and council supported free activities. These are some of the ways Queensland capital city of Brisbane celebrates New Year’s Eve. How will you see out the year? The Brisbane River is one part of the party scene for the 31st December events. All along the River and Southbank area venues open to the night skies to view the spectacular 8pm and midnight fireworks. Gorgeous dining and dinner options are available at restaurant venues along the river and in the CBD and surrounding suburbs. A little further out the NYE party scene hots up in Fortitude Valley with themed party’s at pubs and nightclubs. We have some of the best ideas for your New Year’s Eve Brisbane style. We hope you enjoy the celebrations. Celebrating NYE is key. Then it’s time decide what to do on New Years? Will it be dinner at a fabulous Brisbane restaurant. Or to head out dancing at a hotel or club. What ever you choose to party New Years, please enjoy! Great NYE party location and always sells out. Well presented New Years and has views to the Brisbane fireworks. Always is a packaged New Years Eve. Be Quick! Awesome NYE Ball that includes New Year's options of Cocktail Party, Lounge and VIP Experience with terrace access. Pop-up performances and some special guests! This will be a NYE Ball not to be missed. No extravagance is spared in these all inclusive packages. Substantial canapes and drink packages featuring Premium Spirits will help you celebrate welcoming in 2020. 2 performances available. Drinks, Canapes and Fireworks views with the Black Tie package. Sells out quickly every year. Are you looking for something to do on New Years Eve in Brisbane. Then checkout the fabulous cruise packages available thru Sail Australia. Party Cruises, Family Cruises, Fireworks sightseeing cruises and Dance Cruises. Brew Years Eve 2020 Brisbane Brewing Co.
Party the Brisbane New Year in with fun and a fabulous price on entry. Offers may include food and drinks packages. Happy Brew Year! Beer, Bubbles, and Beats. Offers may include a generous inclusive NYE package. Once Get tickets early. Always a great Brisbane New Years! NYE events may include Roving entertainers, DJs & live performers. NYE offers may include Drinks & Canapes Package. Food Stalls. All night entertainment over multiple stages on multiple levels. Exclusive rooftop fireworks shows. Performers. Party till early in the morning. Be prepared for an unforgettable NYE celebration. All inclusive packages at great prices typically including canapes and premium basic spirits, premium tap beer, and sparkling. Live entertainment. Bring on 2020! NYE offers may include premium beverage package. LIVE music. Firework Views. Brisbane riverside. Fantastic CBD Riverfront Location. Offers may include Multiple Sittings featuring a Multi Course Menu with many options to choose plus an Extensive Wine List. Rooftop NYE Party. Food and Beverage Package including canapes, champagne, premium house spirits and craft beers. NYE options may include beverage packages for adults, soft drinks and juice for teens and children. NYE Cruise events may included Scenic Brisbane River Cruise. Entertainment. Buffet Dinner with Seafood. Cruise into the New Year with DJ music and food and drinks packaged options to see in the new year. The Eagle Street Pier Bavarian Bier Cafe will be a great place to see the Brisbane fireworks with a welcoming stein to see in the new year! Superb a la carte menu available. Beverage Package also including generous canapes. Entertainment all night keeping the dancing going into 2020. Gorgeous rooftop location. 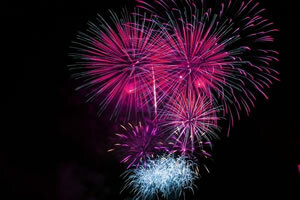 NYE Package options including Drinks and Canapés plus Entertainment and 9pm Fireworks. Entertainment all night long to party into the new year. NYE Party in the Garden Bar. Entertainment bringing the New Year's fun for all. Celebrate the coming of the New Year. Entertainment by live DJ's whilst enjoying fantastic special NYE cocktails. NYE Brisbane Party with offers may include beverage & canapes packages. A poolside New Years! Awesome location on South Bank with offers that may include premium beverages package plus food stations with generous Plough favs. Great spot to see the fireworks! Fabulous Japanese dining to bring in the New Year. Multi course set menu at the Sake at Eagle Street Pier. Great views to fireworks. Event may include multiple Great Parties to choose from. Entertainment, Drinks & Food. Spectacular location near the Fireworks. Bistro and main bar dining before heading to the NYE fireworks! Grills, nibbles, sliders and meals. NYE event may include 3 Rooms of Music featuring Rappers & DJ’s. Offers may include VIP Drinks Packages. NYE package may include premium beverages gourmet canapes, food stalls, DJ music & entertainers. Offers may include No cover charge. Come in and enjoy NYE at Riverside hotel restaurant with resident DJ. NYE event may include entertainment with LIVE music and Open until late. Kick off the New Years celebrations early with the late Brunch. A smorgasbord of awesome tasty delights and sail thru the beverage options all part of the package of fun! NYE Packages may include Basic Beverage Packages & VIP Packages Available. Roving Entertainment. DJ’s. Another item to consider is getting around Brisbane. There are many varied options but public transport of trains, buses are all good options. And then further options of taxi’s, water taxis and ferries. Being Summer hopefully the Big New Year’s Eve Brisbane Night will be nice and warm but watch the weather closer to the event. 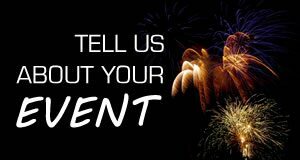 For all the best event details for New Year’s Eve in Brisbane make sure you click thru.